OPPO R17 with 10 GB of RAM Could be Next R-Series Phone from OPPO - Playfuldroid! Oppo R15 and R15 Dream Mirror smartphones were unveiled by Oppo in March this year. It is speculated that the Chinese manufacturer will be launching Oppo R15s and R15s Pro as their upgraded versions. Fresh information shared by a Chinese leakster (Kumamoto Technology) claims that instead of R15s series, the company will be launching OPPO R17 as the successor smartphone. The leakster has also claimed that the Oppo R17 will be arriving with whopping 10 GB of RAM. 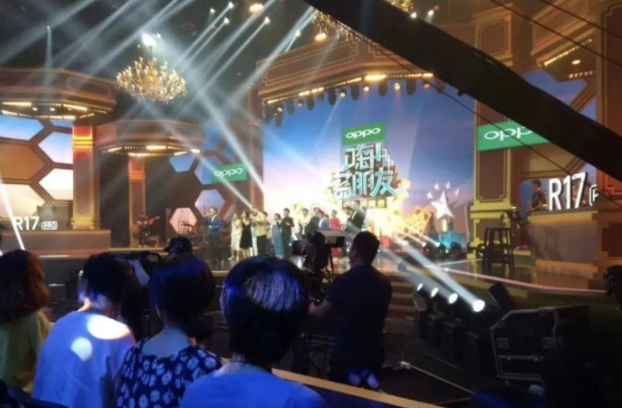 Kumamoto Technology has shared an image of an Oppo sponsored media event. The image clearly shows that the company has started teasing the Oppo R17 smartphone in China. Hence, it appears that instead of R15s, the company may launch R17 in the coming months. Chinese leaksters including Kumamoto Technology have been claiming since a couple of month that the Oppo and Vivo will be launching smartphones with 10 GB RAM in this year. Apart from sharing the above image, the tipster has also shared his previous Weibo post in which he had shared that Oppo is working on a 10 GB RAM smartphone. It seems that the Chinese manufacturer could be hinting that Oppo R17 would be arriving with 10 GB of RAM. Apart from Oppo Find X, the company hasn’t launched a phone with 8 GB of RAM. The R15 and R15 Dream Mirror phones have 6 GB of RAM. Probably, the R17 may not feature 10 GB of RAM, but it appears smartphone for real and its arrival may not be far away.